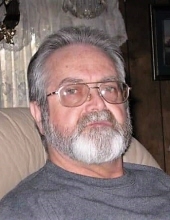 Charles E. “Chuck” Taulbee, 68, of Lakeview, OH, passed away, Sunday, February 3, 2019 at Ohio State University Wexner Medical Center, Columbus, OH. Charles was born on June 5, 1950 in Lima, OH, a son of the late James and Wilma Wirsching Taulbee. On June 26, 1999, he married Kathy Glass at Indian Lake and she survives along with five children, Wes Neeley of Tennessee, Chuck (Kristin) Taulbee of Springfield, OH, Tara (Toby) Binkley of Wapakoneta, OH, Kim Taulbee of Marblehead, OH, and Jon (Andi) Huffman of Bellefontaine, OH, eight grandchildren, Kaleb Huffman, Michala Binkley, Trenton Binkley, Mason Staggs, Courtney (Donald) Henderson, Brittany Ceyler, Brian Neeley, and Chelsee Taulbee, three great grandchildren, Trey Deyo, Emma Henderson, and Kadrian Huffman, three siblings, John (Mary Lodenback) Taulbee of Tennessee, Terri (Bill) Elliott of Huntsville, OH, and Donald (Patty) Taulbee of Bellefontaine, and several nieces and nephews. Chuck retired from Honda Transmission Plant at Russells Point, OH in 2009 after 23 years. He enjoyed watching NASCAR, fishing; as he taught all of his grandchildren how to fish, and was an avid fan of the Cincinnati Reds, Bengals and OSU Buckeyes. He loved being at Indian Lake, spending time with his family, his dog, Jasmine and his cat, Sunni. A gathering to celebrate Chuck’s life will take place from 2-6 pm, Saturday, February 9, 2019 at Indian Lake Community Church Fellowship Hall, 120 N. Orchard Island Road, Russells Point, OH. Arrangements are in the care of Shoffstall Funeral Home, Lakeview. Condolences may be expressed shoffstallfuneralhome.com. To send flowers or a remembrance gift to the family of Charles E. "Chuck" Taulbee, please visit our Tribute Store. "Email Address" would like to share the life celebration of Charles E. "Chuck" Taulbee. Click on the "link" to go to share a favorite memory or leave a condolence message for the family.